If you’re headed to Key West in December, chances are you’re going to feel obligated to bring back a few souvenirs, if not some actual Christmas gifts. Luckily, this is Key West, which means you can find some pretty unique presents, courtesy of the one-of-a-kind boutiques scattered across the island. 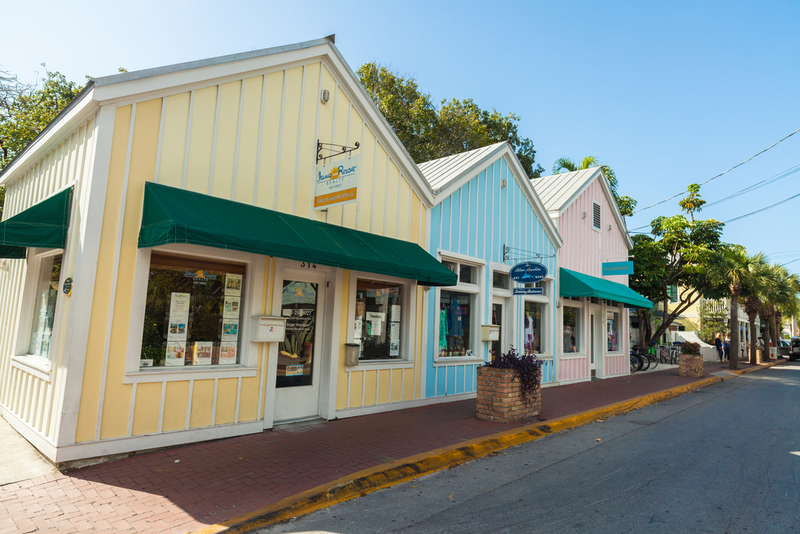 So while you may be on vacation and indulging some very necessary “me-time,” take an afternoon to browse the selection at some of Key West’s favorite boutiques. Here are the shops we frequent when we want to buy a little something special. This shop smells divine. With hints of citrus, aloe vera, and coconut, the Key West Aloe Very Company has become a favorite of tourists and locals alike, not only for its aroma but for its moisturizing products as well. Whether you have sensitive skin, or simply got a little too sun-kissed during your vacation, these local aloe-based products are designed to rejuvenate the skin, and leave it softer and healthier than it was before. They’re also perfect for those “hard to buy for” relatives, like your mother-in-law. After all, even she can’t argue with the science behind aloe vera. By far one of the most interesting shops on the island, Tucker’s Provisions prides itself on being a store that stands the test of time, with classic styles for every occasion and a pervasive sense of class that harkens back to mid-century America. This timeless shop carries both men’s, women’s and even children’s apparel, as well as accessories. So whether it’s for a day on the beach or a night on the town, Tucker’s brings quality and style that will last you quite a few seasons. It’s love at first sight at Bésame Mucho. This worldly boutique off Duval is reminiscent of one big, traveling trunk finally returned home after many trips on the high seas. That said, the shop’s curators have brought some of the best the globe has to offer back to Key West, all with an old world charm and an affinity for good taste. Here you can find handmade jewelry, Moroccan slippers, Parisian silks, chocolates, and so much more. Let the treasure hunt begin. This adorable boutique in Bahama Village draws inspiration from coast to coast with an eclectic array of colorful sundresses, accessories and even artwork. Open and accommodating, Wanderlust remains bohemian in a sea of tourist traps, ensuring that you’ll find something that you just know you won’t be able to live without.